There are numerous reports of the benefits of omega-3 fatty acid supplementation, including benefits for heart health, cancer, depression, and attention-deficit hyperactivity disorder. However, the most significant evidence of benefit from omega-3 fatty acid is in managing coronary heart disease (CHD), high triglycerides, high blood pressure, rheumatoid arthritis, and prevention of further heart problems in people with heart disease. 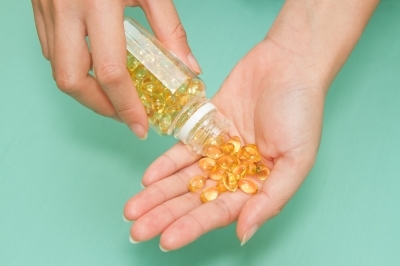 Omega-3 fatty acids are found in fish oil. Omega-3 fatty acids may help regulate the heart’s rhythm and provide protection against ventricular arrhythmias that lead to death. As a result, the primary benefits of daily fish oil (1 g/day) intake are related to reducing sudden cardiac death events and coronary heart disease-related death (including heart attack) in populations with and without CHD. In patients at high risk for ischemia-related abnormal heart rhythms, the reduction in risk off sudden cardiac death is seen within 3 months of treatment. A recent study (The large Risk and Prevention Study) of 13,513 patients with multiple cardiovascular risk factors or known vascular disease found no additional reduction in risk of death from cardiovascular causes or admission to the hospital for cardiovascular causes with use of omega-3 fatty acids (11.7% with omega-3 fatty acids vs. 11.9% with placebo). While there is still substantial evidence supporting the use of omega-3 fatty acids, additional large trials with long-term follow-up are needed to clarify whether omega-3 fatty acid supplementation might have different effects on cardiac death depending on whether patients are also receiving aggressive treatment for primary or secondary prevention of CHD. Several studies, including a three-year study in 229 women found that omega-3 fatty acid intake was associated with less progression of coronary stenoses and fewer new lesions, suggesting that fish oil consumption may modestly reduce chronic progression of atherosclerosis.